Try all 4 flavours of nutritionally complete powdered food that gives your body all it needs. Simply add water, shake it and you are good to go. Free delivery for all orders over 100 €. Ships within 24 hours. Why waste time with food preparation if you don't have to? Are you busy or simply don't feel like putting in all the effort that food prepreparation requires? Shopping, cooking, washing dishes? We believe food should be a unique experience to be enjoyed with your family or the closest friends. 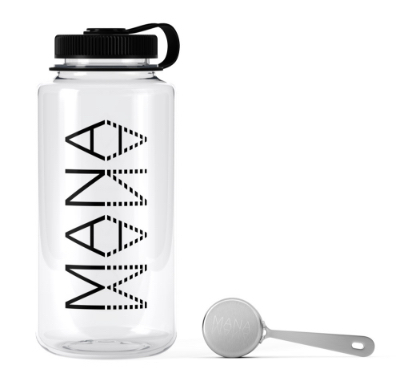 Mana is here for all the other times when you quickly want the highest quality food fix to fuel your body and keep on doing whatever floats your boat. A complex spectrum made up of proteins, lots of fibre, diverse high-quality fats, and balanced carbohydrates together with a great micronutrient mix give your body 100% of what it needs, so that nothing can stop you anymore. Shopping, cooking and washing dishes? 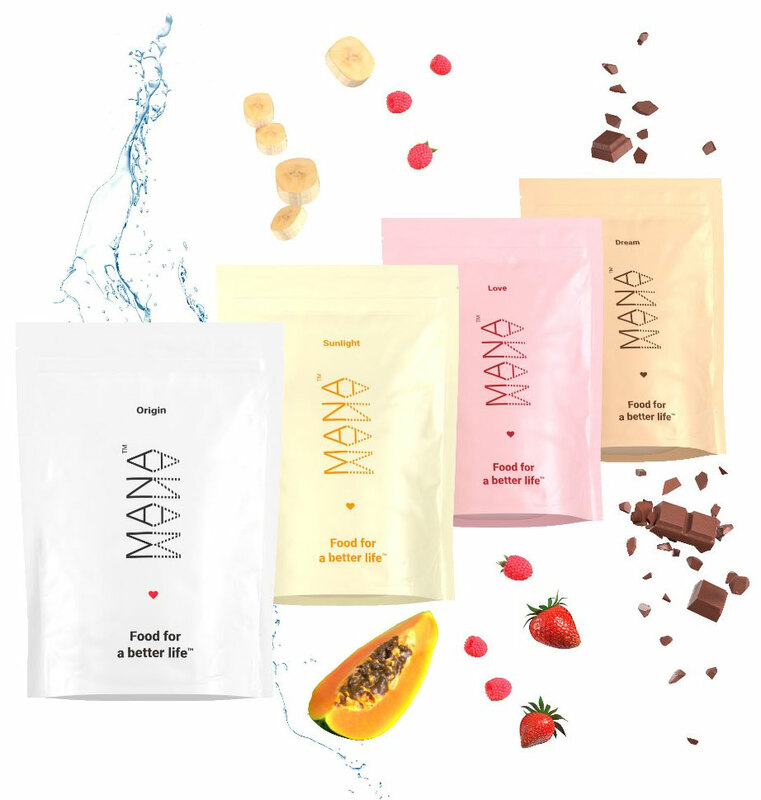 With Mana you can enjoy the benefits of complete nutrition without wasting your precious time. Starting at 1.78 € it's never been cheaper to get a completely balanced meal that delivers everything your body needs. No need to worry that you're not getting everything you need. Our team of scientists meticulously works on creating the perfect formula and monitors the latest studies, so that you don't have to. Cheers to a healthy life. With a clinically proven formula created by our team of scientists you can lead a better life, free of animal products. More than 99% of our ingredients are derived from natural vegetable sources to create a drink with all the vitamins and minerals your body needs to stay balanced. The ingredients that we use are all thoroughly lab tested to make sure only the highest quality ingredients are included in our products. With this combination, Mana is not only easily digested, but also keeps you feeling satisfied and replenished after every meal. Either before or after a workout, Mana provides you with a balanced and constant source of energy that has a low glycemic and insulin index. This is the perfect way to keep you powered throughout the day. Hold it in your hands. Selecting, buying and preparing balanced meals can take up a big chunk of your day. It can also be damn expensive. With Mana you can focus your energy on the things you really love. By reclaiming your time, you can now spend those moments learning that new programming language, parachuting out of a plane or partying all night without neglecting your body. Breakfast, lunch or dinner in under a minute. One pouch contains 2001 kcal, and will give your body everything it needs, all day long. Our compact, 7-pouch package will keep you going for a week and is available in 4 delicious flavours. Act now and taste the future! 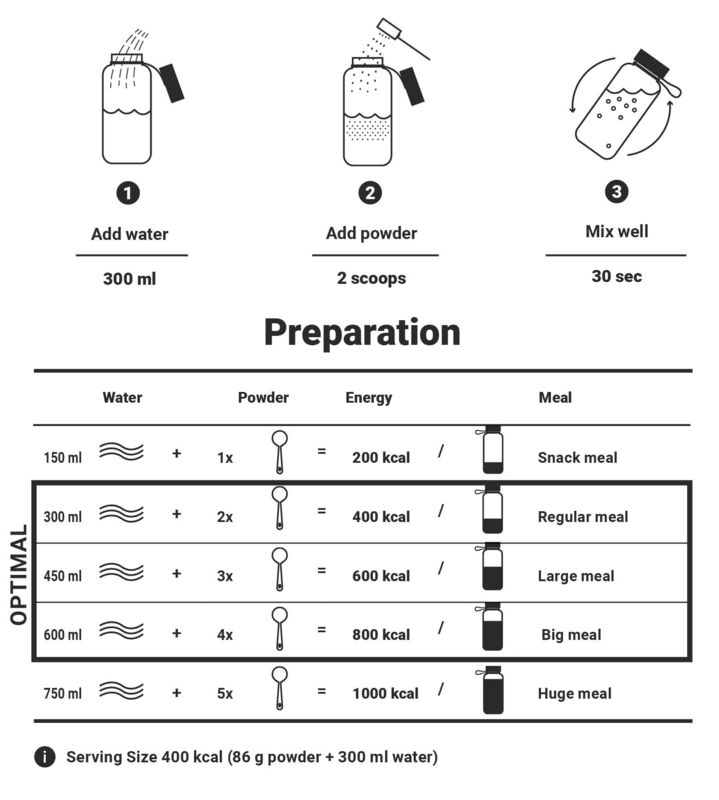 Get the “Starter Kit” for just 15 € more (Contains original Mana(tm) Bottle & measuring scoop).